refurbished interior, we’re ready for you! Our outdoor spaces are great for kids of all ages and we’re home to the Ryedale Society of Model Engineers. Click image for more. And out and about in the village. We’re even building-up a comprehensive list of local suppliers, click the image to learn more. 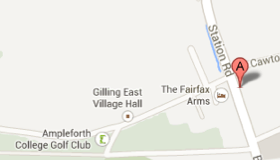 About Gilling East Village Hall. Gilling East village is located in the Howardian Hills Area of Outstanding Natural Beauty on the B1363 between York (20 miles) and Helmsley (5 miles). Gilling East village has two beautiful churches (Holy Cross and Our Lady and the Holy Angels), an award winning destination pub (The Fairfax Arms) and has on its doorstep of St Martins Ampleforth School and Ampleforth College. Recently restored and available for hire, Gilling East Village Hall is set amidst splendid scenery in a quiet, secure location 200 yards from the Fairfax Arms. This beautifully restored Victorian school house has now been refurbished as the Village Hall. Facilities include a main hall with adjacent kitchen and toilet facilities, a small first floor meeting room, a well-equipped playground and extensive grounds and play area. The Village Hall and grounds are uniquely surrounded by the model railway track of The Ryedale Society of Model Engineers. 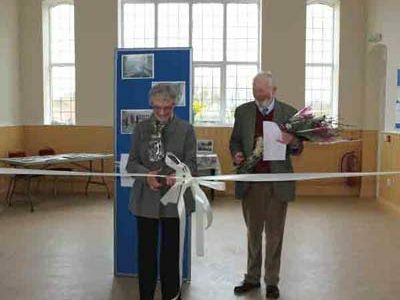 Gilling East Village Hall provides an ideal venue for community and private functions, with its large airy hall served by a modern kitchen. An upstairs room provides for smaller gatherings and outside space is available for a marquee. 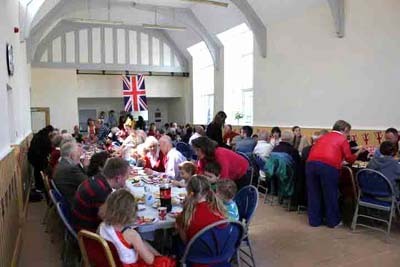 The hall makes a fantastic place to hold parties, events and fundraising activities, don’t forget to tell your friends and get involved! We’re getting more and more activities on our calendar. Click the image to check availability or to see our up-coming events. We are building a local business directory – it’s not as complete as we’d like, but if you want to list your business, please click here and complete the form. A shopping directory listing some of our favourite online stores including Amazon, NEXT, Debenhams, John Lewis, Toys R Us, HMV and over 500 other top name stores. Whenever you shop with any one of them by clicking this link, they'll generate a donation for our Village Hall of up to 15% of the purchase price every time!